The easy route to long, beautiful hair Happy and recurring clients, shipping world-wide. Endless Hair is a Swedish-founded premium hair extension brand trusted by hair salons in Dubai. Looking to buy hair extensions? Please call/whatsapp me, Ellinor, at +971 55 849 0757 or email me at ellinor@endlesshair.com. I can help you right away! 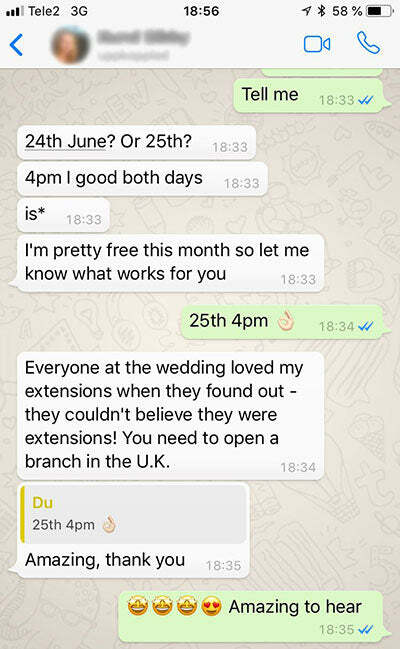 You will get free consultation, and I will help you to put in the extensions according to your personal needs. Quick to attach and easy to remove. Some feedback from our lovely customers! Whatsapp us at +971 55 849 0757 to get yours. We bring you unmissable news, stylish inspiration and exclusive behind-the-scenes peeks. We are passionate about quality and want to give you a luxurious experience. Endless Hair extensions are made from 100% remy human hair. All our extensions are top-quality and we’ll never offer anything lower than the highest standard. All Endless Hair extensions are shipped in beautiful packaging and their own hanger, so you can easily store your hair and reuse it later. Quality extensions that look natural and feel great. 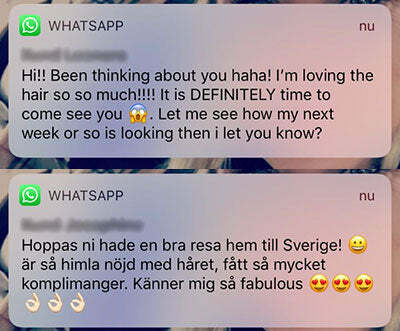 Endless Hair is a Swedish brand. It's developed by Swedes, currently operating out of Dubai. We stand for quality and reliability and have customers from all over the world. 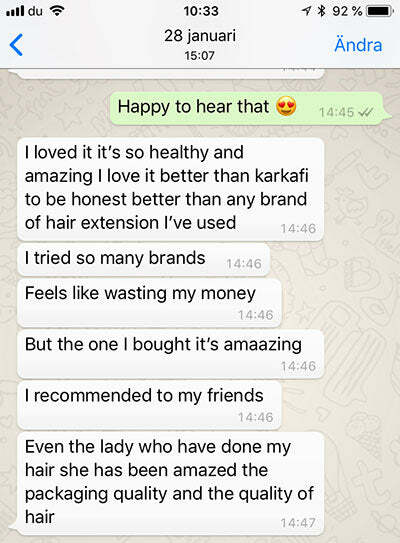 We know the market is flooded with cheap and low-quality hair, but we want our customers to know that they can trust us on quality and personal customer service where you will communicate directly with the founders. Today our lives are busier than ever, and it can be hard work keeping up with a beauty routine on top of work and family commitments. Anything that can help women look great while cutting down on time spent in front of the mirror is a life-saver. And that’s why there is a demand for top-quality hair extensions. The demand is everywhere, in the Middle East, in Europe, in the US and in Asia. Beautiful long hair can transform your appearance, and Endless Hair helps your achieve that great look. This long, lustrous hair makes it much easier to pull off a flawless glamour at any event you go to, and to look your best in photographs in any light. Many customers look for a range of options, and we’re proud to offer a wide variety of attachment techniques and different colors. Tape and stickers are trendy and easy to put in and out, however some clients prefer keratin bonds. For special occasions clip-in hair are to recommend since it can be easily taken out.